Chopped Grill Masters has an avid following for it’s unique, rustic setting. Last week, Kent Rollins was the envy of all with his southern drawl and cowboy hat. 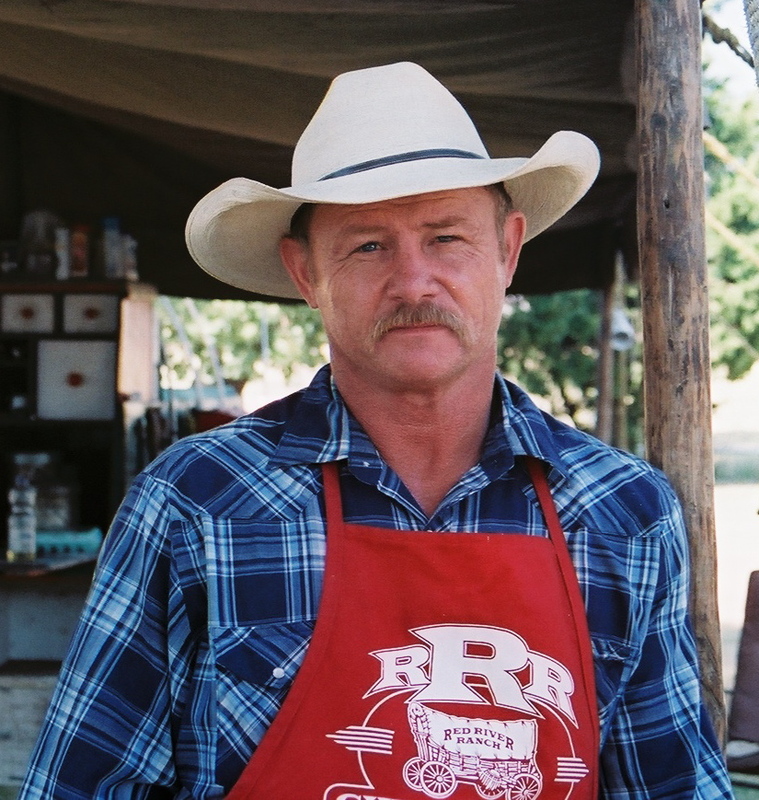 We reached out to him to learn about how growing up raising cattle led to a career in cooking. KR: My mama taught me how to cook from a young age. We grew up helping Daddy with a cow/calf operation and when everybody would be up at 5:30am in the morning feeding calves, I found out pretty quick it was a whole lot warmer to stay in the house with Mom and cook!” When I got older I worked for my uncle guiding hunters in the Gila Wilderness of New Mexico. We would pack in hunters for four to five weeks and I would cook for them. That’s where I got my start cooking in Dutch ovens. KR: Hearing someone say, “That’s the best meal I ever had” and seeing the smile on their face. FP: Who inspires your cooking? KR: Growing up I was surrounded by great cooks and good recipes that everyone shared. My influence didn’t necessarily come from any celebrity chef, but just the women who I grew up around that cooked with love. FP: Tell us about your experience on Chopped Grill Masters from casting to filming. KR: First, I learned how to Skype! Which was pretty foreign to me. After the application, we did a video interview and then around the end of January they told me I had been chosen. It was the most intense competition I’ve been in my life… and I’ve rode bulls for many years. We made many friends, not only with the other chefs, but with the hard working crew as well. I had done some filming before, but never had seen that many cameras in my face at one time! FP: What was it like to compete with the other chefs? KR: It was an honor to be among the others chosen, especially with so many culinary-trained chefs. I’ve been in food competitions before, so the fact that I was competing against other individuals wasn’t necessarily the hardest part. The hardest thing, for me, was the unknown factor like the mystery ingredients and also the time constraint. Twenty minutes when you’re watching on TV is completely different than being there, going through it. FP: We cannot imagine the pressure to cook under a time constraint. Must be insane! Would you do it again? KR: Yes, if it were in an outside setting again. The elements outdoors do not hamper my cooking skills. FP: We love the Chuck Wagon concept. Share with us how the idea came about. KR: I’ve worked on a lot of ranches and eaten off a lot of wagons where the food wasn’t so good. But you never said anything, because you’d have to be the next one to cook. I thought- hey I can do this and make the food good for these hard working fellers. I bought an 1876 Studebaker back in ’93 and began cooking for working ranches and cowboys during their spring and fall works. Business picked up and I began doing on-site catering for folks all over the country. It surely isn’t an easy job. My wife, Shannon and I don’t get the luxury of cooking indoors under controlled situations. But we are blessed to be able to do what we love and feed good folks. FP: When you are home, what are some of your favorite meals to cook (If any)? KR: We can be gone a lot, and often when we get home the pantry can be bare. It’s a lot like cooking from a Chopped basket- I have to go pulling stuff together that you wouldn’t think of. KR: When I met my wife, she really began to open up my “food palette,” as she says but I’m not really sure what that means. I love sushi-it’s my guilty pleasure. I would never have eaten it before in my life, but now we try to go to sushi restaurants when we can. FP: We share your love for sushi! KR: I would love to invite the Chopped judges over and cook for them one of my steaks at the wagon. FP: We understand that you also write poetry? How would you compare the two…cooking and poetry? Any similarities and/or connections? KR: Both are an expression of your inward feelings and who you are and where you came from. It’s a way to express creativity and maybe even show folks a world they didn’t know existed. FP: Thank you Cowboy Kent for your time! We wish you the best of luck on the final episode of Chopped Grill Masters and your future endeavors! I still don’t know about the “chef” part, but I appreciate the interview. And have some sushi for me! You are soo much more cooler now Kent, after reading this article. We were rooting for you and even got a little teary at the end. Looks like you have natural talent at cooking good tasting food that is simple. Wish the best for you! We think you are awesome Kent! We wish you nothing but the best happiness and success! I loved watching you cook. You are AWESOME!! Many are begging The Food Network to give you your own show!! Thanks FoodiePleasure, for the kind words and for all you folks out their rooting for me, like I said “Life is simple, people complicate it.” Keep the wood dry and the fire hot, and by the way I would love my own show if anyone is interested! Thanks a lot for taking time to write blackout blinds “Cowboy Kent’s Take | FoodiePleasure”. I still say the Food Network or the Cooking Channel needs to do a show with you. What you see is what you get.